What was rumored for weeks became official last night when WWE revealed plans for their first ever all women’s pay-per-view show. At the beginning of Raw, Stephanie McMahon announced over 50 women would participate in the event called Evolution. Evolution will emanate from Nassau Coliseum in Long Island, New York on Sunday, October 28th. Hall of Famers Trish Stratus and Lita will appear along with more legends from the past. Every member of the main roster will be on the show. Some of the matches featured will be championship matches from Raw, SmackDown, NXT and NXT UK, along with the finals of the upcoming second Mae Young Classic. WWE’s developmental system getting such a platform will only help in making this inaugural undertaking a tremendous show. There are also persisting rumors of WWE introducing the women’s tag team titles. The division will appear on both Raw and SmackDown and would be the only championships to hold that distinction. Evolution would be the perfect time to kick off such an initiative. Of course, with WWE announcements comes its share of controversy. Some have challenged the authenticity of the company’s progressive image due to holding an April show, in Saudi Arabia, where it is illegal for women to perform. While there has been no official word from WWE, the country’s General Sports Authority announced another event slated for November. An October 28th all women’s show scheduled weeks before another event, where women are precluded is a significant contradiction of WWE’s projected all-inclusive mantra. Furthermore, it suggests a motive of softening the backlash they will receive for continuing to do business with Saudi Arabia. Such a narrative makes it easy to come to this conclusion. However, I don’t think this is what’s happening here, not entirely. WWE was always going to hold an all women’s pay-per-view event. Women’s increased presence in movies, television, and sports along with the stellar women’s matches in NXT influenced WWE to follow suit. This led to more screen time, which ultimately lead to the signing of UFC superstar Ronda Rousey. Also, WWE Network diluting the importance of traditional pay-per-view made this endeavor less of a risk. In the end, does it matter when the event is being held just as long as we’re getting it? WWE is a business and strategically planning events comes with the territoty. Women’s wrestling has never been more featured in the genre. More woman are getting into wrestling than ever before. Those who have thrived on the independent scene and abroad are getting noticed. 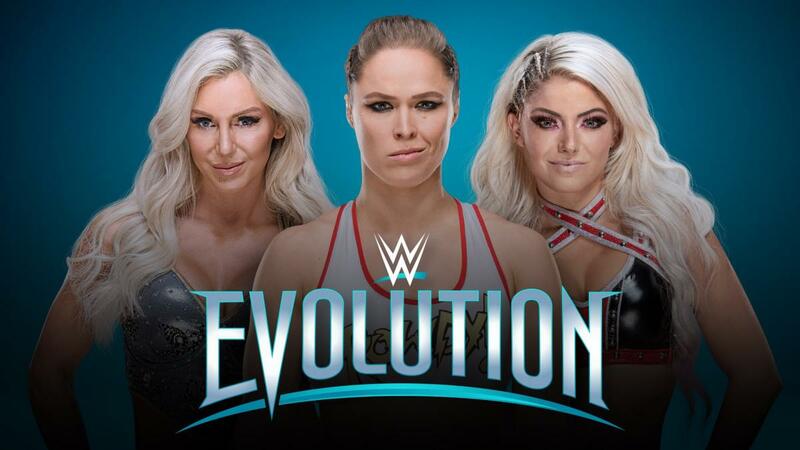 While this isn’t the first all-women’s pay-per-view event, (LPWA 1992) or even the second, (WOW 2001) it’s WWE’s first time at this particular dance. Putting all of the optics aside, Evolution is better late than never for the industry leader.